How do we live in a fallen world under Christ the King? 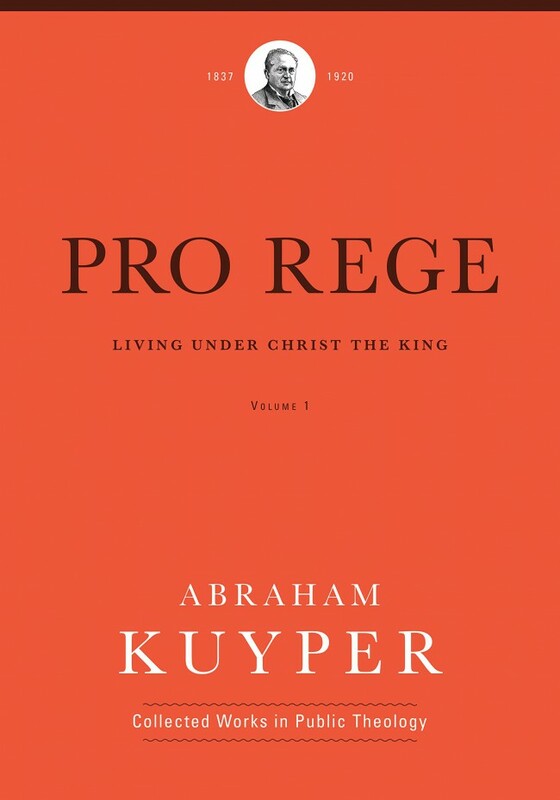 In partnership with the Acton Institute, Lexham Press has now released Pro Rege: Living Under Christ the King, Volume 1, the first in a three-volume series on the lordship of Christ. Originally written as a series of articles for readers of De Herault (The Herald), the work was designed for “the rank and file of the Calvinist community in the Netherlands,” not academic theologians, offering a uniquely accessible view into Kuyper’s thinking on the role of the church in the world. Pro Rege is being written with the aim of removing the separation between our life inside the church and our life outside the church that has arisen within our consciousness more sharply than is helpful. Within the arena of the church this could not be helped, since the confession of Christ as our Savior stands in the foreground. Naturally the Savior fixes the contrast between our being lost in guilt and sin, and the grace standing in op­position to that. And church life must be lived precisely in the fluctuation between these two poles. A church life that is conducted simply in terms of observing churchly duties becomes debilitated. If it aims principally at a lifestyle characterized by virtue, it exchanges its deeply religious character for a superficially moral character. The result has always been, and will always continue to be, that those who are spiritually engaged do not feel at home in their church; once they join up with like-minded folk in a more intimate circle, they will cause the flowering of sectarianism. Christ’s being Savior does not exclude his being Lord. Instead it has always been confessed within the arena of the church that the church is lost apart from the most holy preservation of its King, and that Christ rules in the midst of his own—not least of all in the church. From their very beginning, then, our Reformed churches have strongly sensed that need for the protection and government of their King. At that point they were facing times of bitter persecution and uncommon confusion in every sphere. So it could not have been otherwise than that they confessed with zeal that our King guarded his church, and that they in their hour of need looked to the one who is seated at the right hand of the Father and is clothed with all power in heaven and earth for their salvation and protection…But things changed when persecution ceased, when public religion received the Reformed imprint, and when the Reformed churches eventually acquired a more established order. This explains why, despite continuing to be confessed, the kingship of Christ at that point nonetheless lost its exalted significance for life. People heard less and less about the King and more and more about the Savior and Redeemer. As modern-day Christians in the West continue to experience a decline in their “public position” and increased pressures on religious liberties, and as more intense persecution against Christians rages around the world, I wonder what lessons we might learn by reflecting more deeply on the lordship of Christ? Purchase Pro Rege: Living Under Christ the King, Volume 1.